Zero offers this stylish and comfortable full sleeves T-shirt and pant set for your adorable kid. The set contains a full sleeves, round neck T-Shirt with bunny print on the solid color base along with solid color pant, which makes this ideal for casual wear. Pullover style of the T-Shirt with shoulder buttons and soft elastic waist of the pant, ensures easy and fuss free dressing. 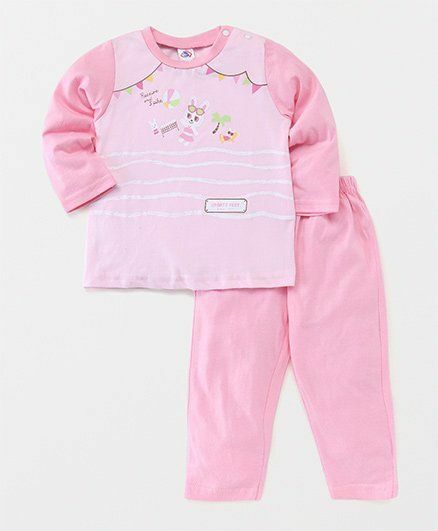 Made from soft fabric, this set will ensure maximum comfort to your little one. Styling Tip: Wear this set with matching shoes to complete the look.